For people heading abroad for vacation or business, cash has long been the primary way of making payments. It’s easy to understand why, as it is convenient and simple to use, accepted everywhere and helps people keep track of exactly how much they are spending. Compared with credit and debit cards, which may incur additional fees when used overseas, cash has also traditionally been seen as more cost-effective, especially when people who prepare in advance for their trip. But as digital payments gain in popularity around the world, are attitudes towards cash changing? And if so, what will the payments industry have to do to keep up with the demands of today’s global travelers? Overall, cash is still the most popular method of payment when people are traveling outside their home country. Visa’s recent Global Travel Intentions study found that 77 percent of respondents still preferred to rely on cash. 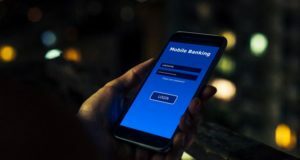 However, the study also claimed that the use of this payment method is increasingly causing anxiety and stress, with the loss or theft of cash a top concern. One reason for this is that many people still feel they need to carry more cash abroad than they would typically be comfortable with. Nearly three-quarters of respondents (72 percent) said they prepare the foreign currency they will need before leaving, and the median amount of cash taken abroad per trip comes to $778. The average traveler spends $1,793 per trip, and many will not top up their cash once they arrive. Just 1 person in 10 makes an ATM withdrawal at their destination, with nearly 20 percent of respondents citing the security of ATMs in unfamiliar locations as a barrier. There is also the question of what to do with remaining cash. Despite the fact that spending outpaces the amount of cash taken, almost 9 in 10 travelers (87 percent) still have cash left over after their trip, with the average amount being $123. But less than one-third (29 percent) convert it back into their home currency, which means many are left with significant amounts of unusable cash. Changing travel trends may also have an impact on people’s attitudes to cash. Visa’s survey found that overseas trips are on the rise, with respondents planning an average of 2.7 foreign trips over the next two years, up from 2.5 during the previous two years. What’s more, these trips will often be shorter than in previous years and are more likely to take in multiple countries, which may make planning cash use beforehand more of a hassle. While Visa certainly has a vested interest in encouraging the use of card payments among travelers, the survey highlights the importance of providing payments choice to tourists and business travelers alike. Some credit, debit and prepayment cards, for example, now allow users to pay in local currency, thereby avoiding hidden fees and benefiting from more competitive exchange rates. But options for payments when on vacation may not be limited to credit and debit cards. Tools such as mobile and contactless are increasingly popular options, and people will expect to be able to use these when abroad just as they would at home. Indeed, Visa found that travelers are increasingly relying on technology when in foreign countries, with 88 percent of respondents gaining online access while abroad, up from 78 percent in 2015. With 44 percent using ride-sharing apps to get around once they reach their destination, for example, there is no reason to think that payments will be any different. Cash isn’t going anywhere for travelers, with its convenience and ubiquity it can be particularly useful when people are in unfamiliar locations. But with mobile and digital options gaining popularity around the world, we can expect more people to rely on these payment methods when traveling outside their home country.